To put it all in perspective … I was already a “winner” before leaving the house on Friday. My 8-year old male, Frankers, is back … back to my quirky little guy. He’s been running up/down the basement stairs (two weeks ago I was carrying him up because he couldn’t make it). While fixing food bowls, I turned around and he was sitting up, waving his front paws at me. He’s enthusiastic about eating. He’s been tossing his toys around and engaging Ali to play with him. Just last night, he was jumping up on the couch again. He bounces in and out of the house, taking the steps with a spring. The lymph node is down and shows no signs of infection. His eyes are bright; his tail up and wagging … no ribbon can take the place of that. Hey, Vickie — I’m glad to hear Frankie is feeling better now and you’re right about coming home with the best dog. Thanks for your comments on my blog. If I ever figure out how to make my own patterns, I will do one for a stuffed Shih Tzu and a Lhasa. 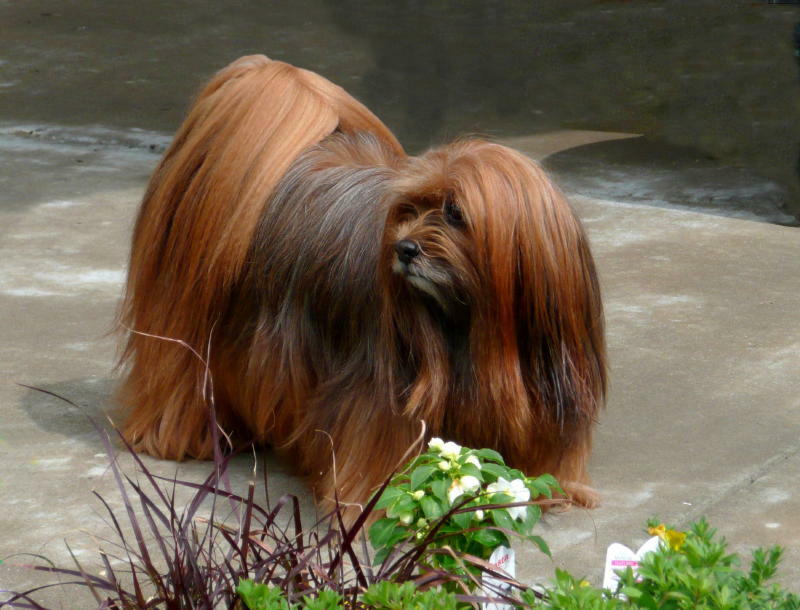 Hiya, Patty … if you ever make an Apso or a Tzu, I definitely want to see it/them! !